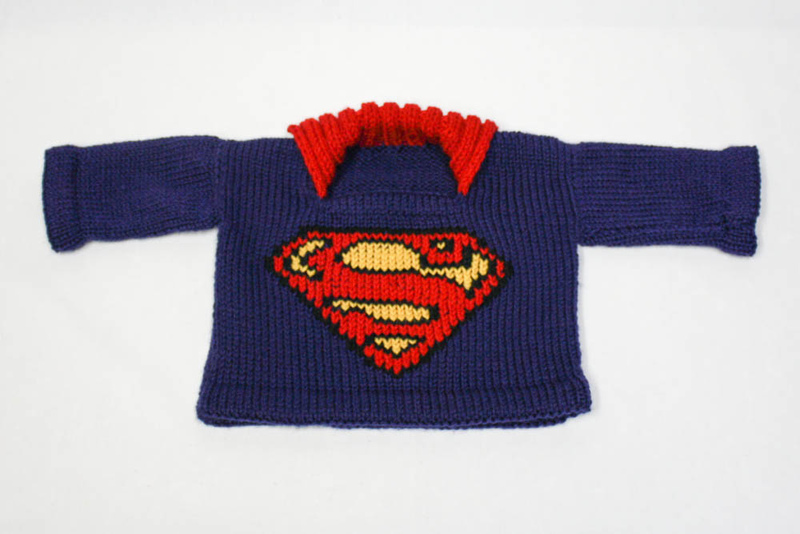 This week we will look at crafts. 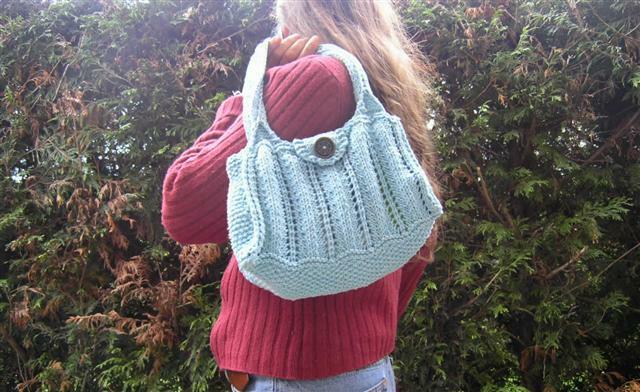 The main points about crafts are that they are made by hand and not by a factory, and the works are usually meant to be both useful and bring enjoyment or beauty. 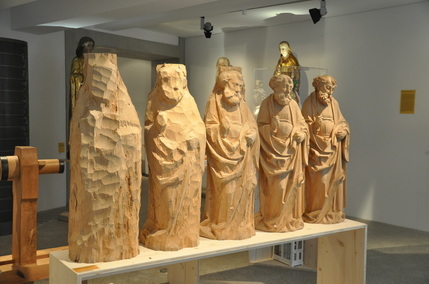 Wood carving is a very old craft. 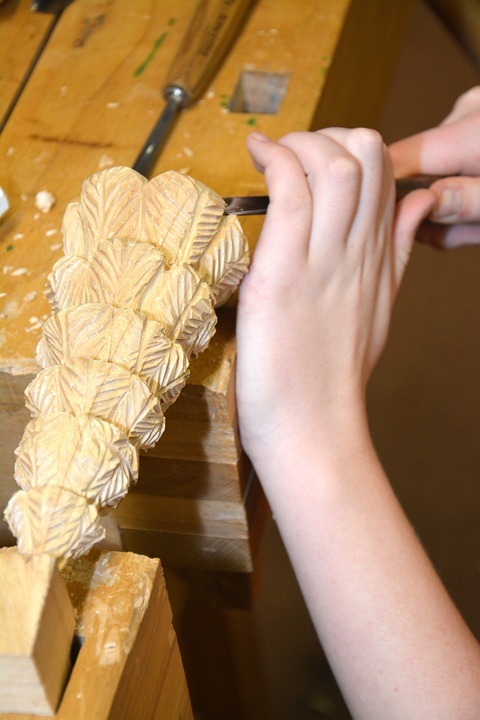 Wood carving requires tools such as a knives or mallets. 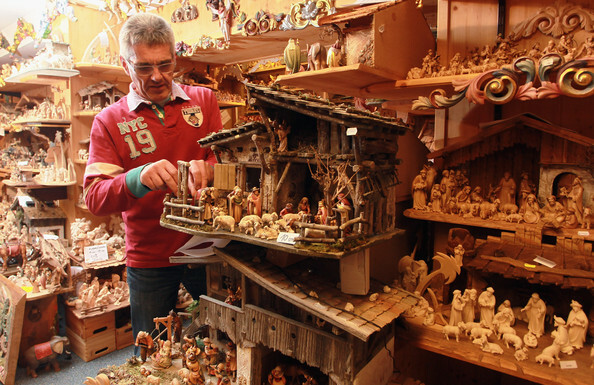 Oberammergau, a small German town, has over 70 carvers, who specialize in selling Christian figurines. It has a 150-year old wood carving school. Not all carved figures are religious. The traveling peddler is a popular subject. 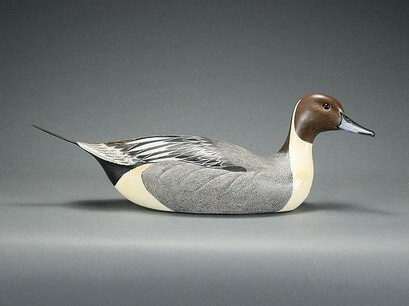 Carving duck decoys became a folk art as far back as the early 1900’s. 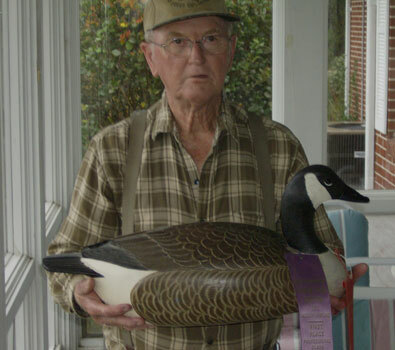 Delbert Daisey’s carved decoys are valued for both their artistic merit as well as for their function as a working decoy. One fully decorated pintail Daisey created has been valued at $150,000.00. Daisey’s decoys are exhibited in the Smithsonian and other waterfowl museums. Pottery is a craft. 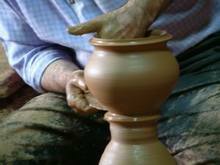 Someone who creates pottery is known as a potter. 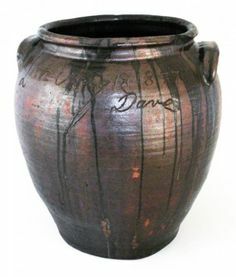 David Drake was an American potter who lived in the 1800’s. 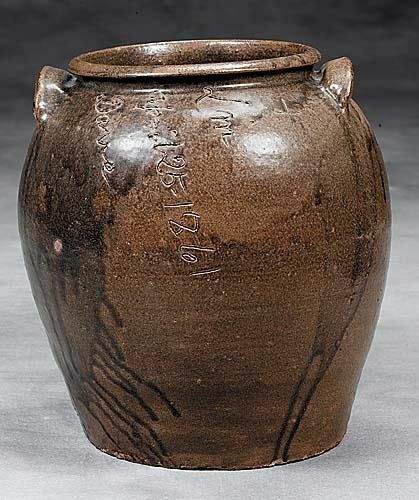 He produced over 100 pottery jugs and jars, usually 25 to 40 gallon-sized, which were some of the largest in American pottery history. He is an inspiring example of an artist, because he was an African American slave on a South Carolina plantation. 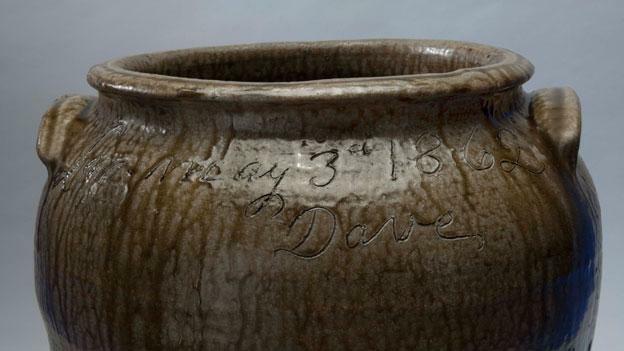 He was known as "Dave" and is called Dave the Potter. Dave learned to read and write even though it was against literacy laws at that time for slaves to be taught. 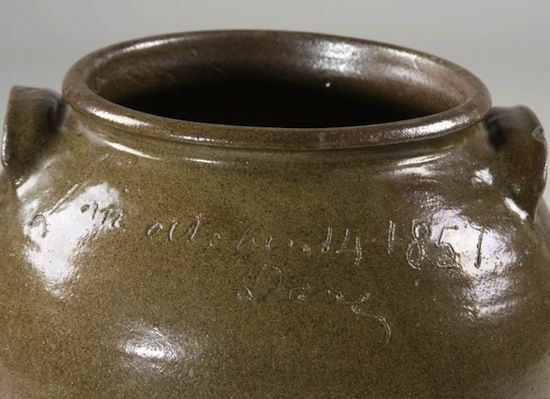 He signed and wrote inscriptions on all the pots he made. One of his poem-like inscriptions referred to slavery: “I wonder where is all my relations/ Friendship to all--and every nation” These lines offer instructions for runaway slaves to find their way to freedom: "Follow the Drinking Gourd / For the old man is a-waiting for to carry you to freedom," -- the Drinking Gourd was another name for the Big Dipper. 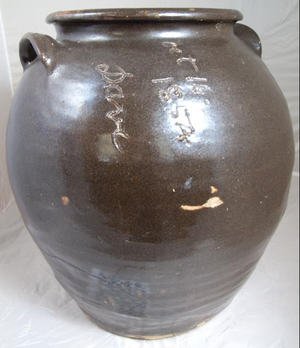 Several of his pots have the initials “LM”, which stood for Lewis Miles. Lewis Miles owned the pottery workshop where Dave worked and may have owned Dave himself for a time. After the Emancipation Proclamation law passed, which outlawed slavery, Dave adopted the last name Drake, and referred to himself as David. Drake was the last name of an earlier owner who had probably taught David to read and write. 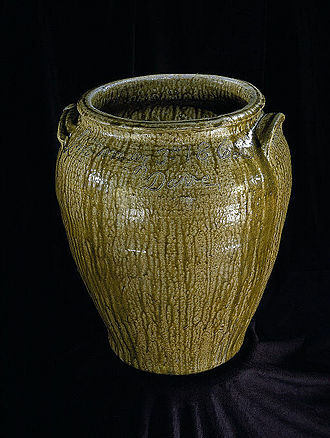 In modern times, David Drake’s pottery has sold for over $40,000 each. 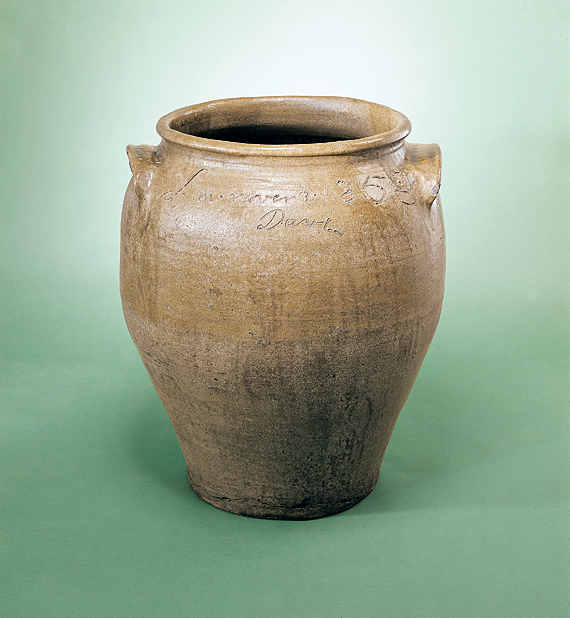 David Drake’’s pottery is exhibited at the Smithsonian in their Civil War collection. It has both artistic and historical significance. David Drake is our artist of the week. 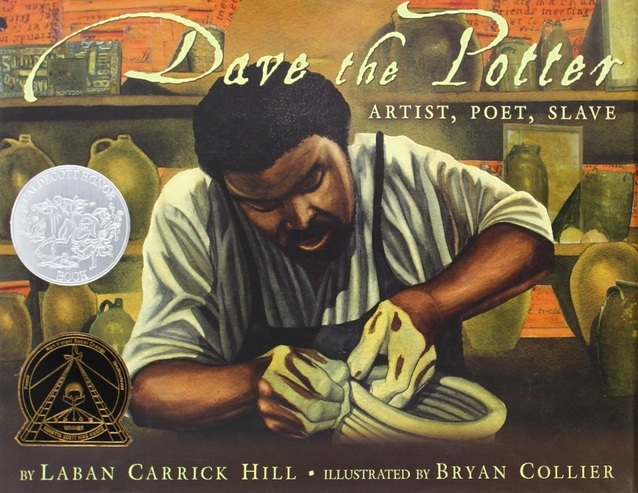 Dave the Potter: Artist, Poet, Slave is an award winning picture book in our library. 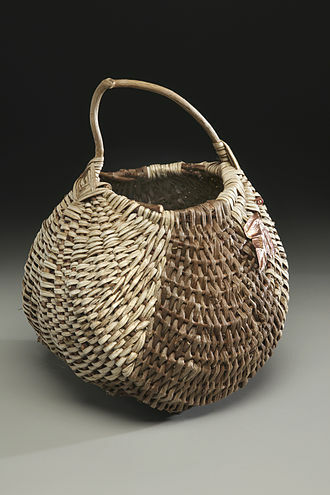 Basketry is an ancient craft that was practiced by nearly all cultures. 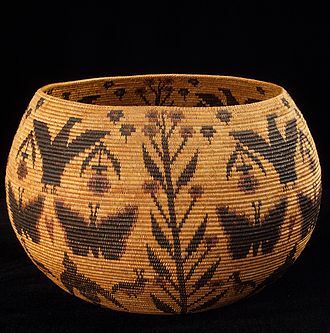 Many native American tribes were known for their basket making. 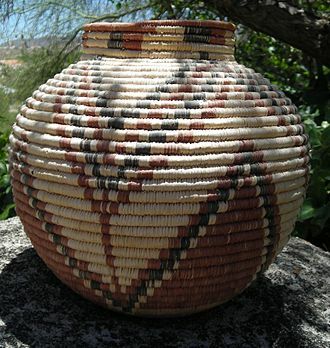 Native Americans usually made their baskets from locally available materials. 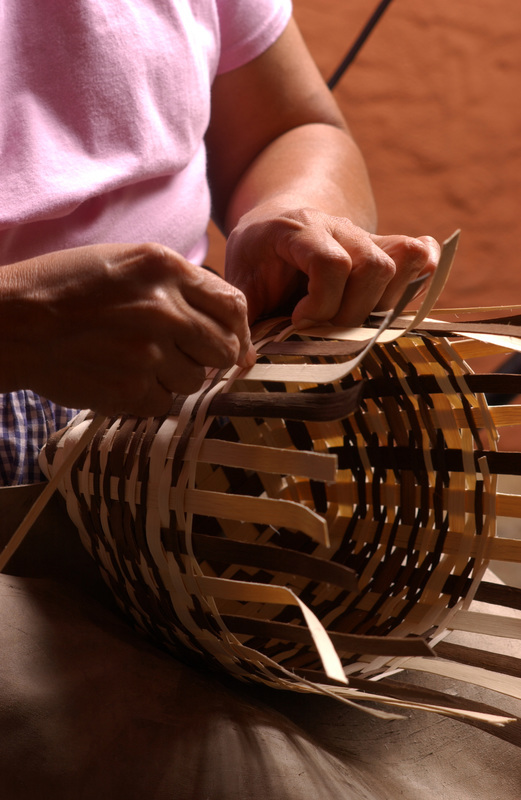 Materials used to make baskets include strips of wood, sweetgrass, birchbark, vines, and other things. 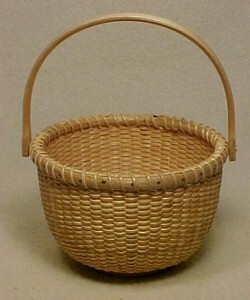 Baskets made from reeds are called wicker baskets. 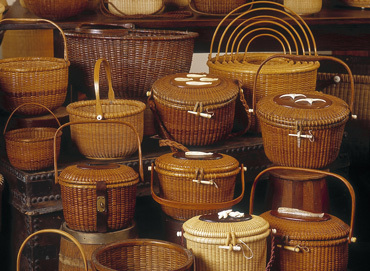 The island of Nantucket, Massachusetts is known for its wicker baskets called lightship baskets. 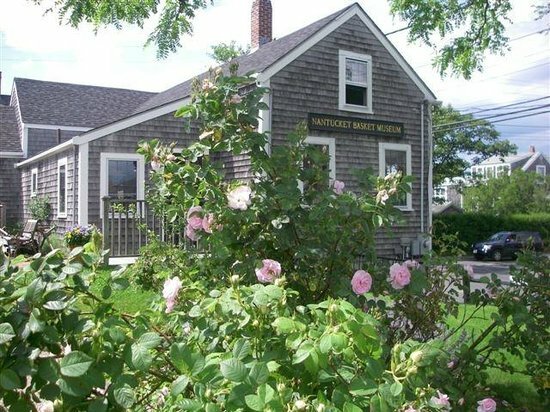 Nantucket was once a whaling town with many ships sailing in and out of its port. 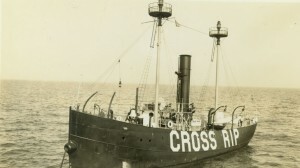 ​ In the late 1800’s, lightships holding men and bright lights warned ships about dangerous rocky areas that could cause a shipwreck. They served the same function as a lighthouse, except the light was on a ship moored off of the coast. 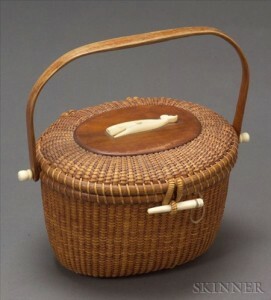 ​During the day, there wasn’t much to do, so the crew members began weaving rattan baskets to pass the time. 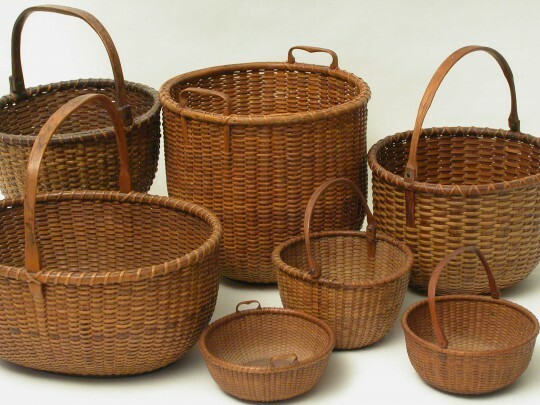 These baskets became known as lightship baskets. In later years after the lightships were no longer used, the baskets continued to be made on shore and became a popular tourist item. Lightship baskets are often made in sets of baskets that are identical except they are different sizes that will set inside of each other. 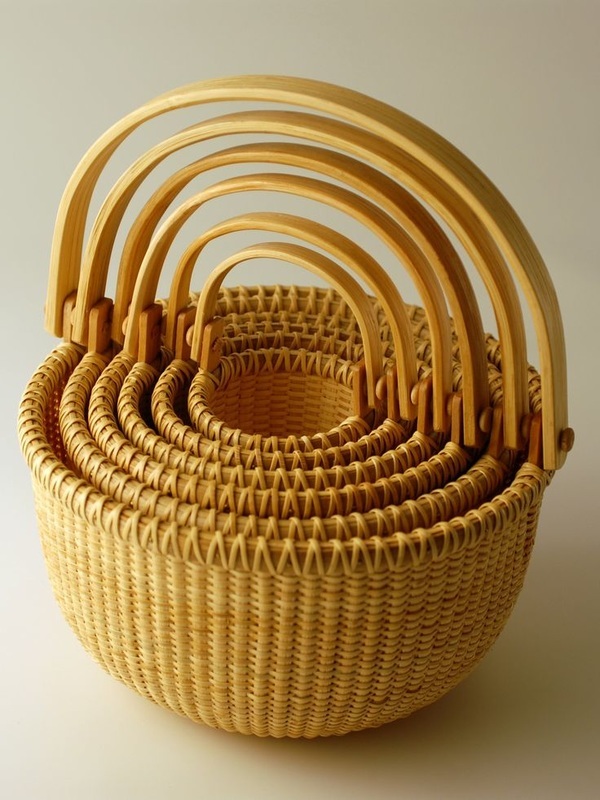 These are called nesting baskets. 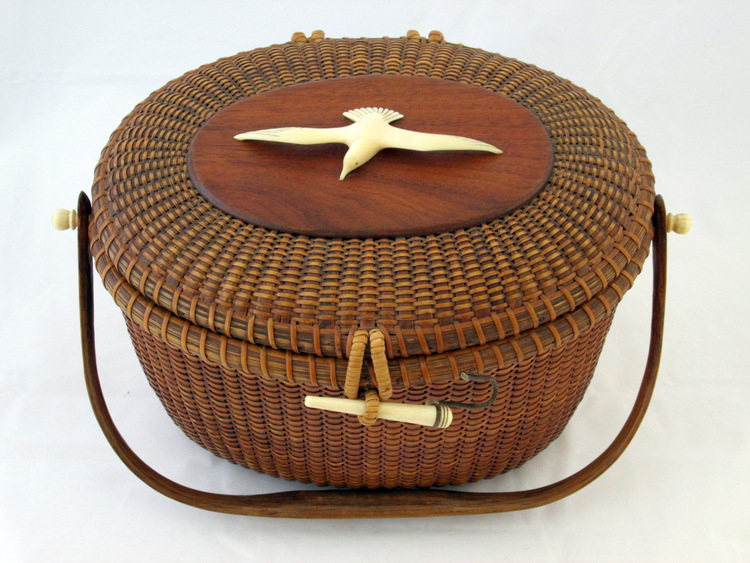 ﻿A basket weaver, Jose Reyes, creatively started making lightship baskets into purses and placing a carved whale and other decorations on top. 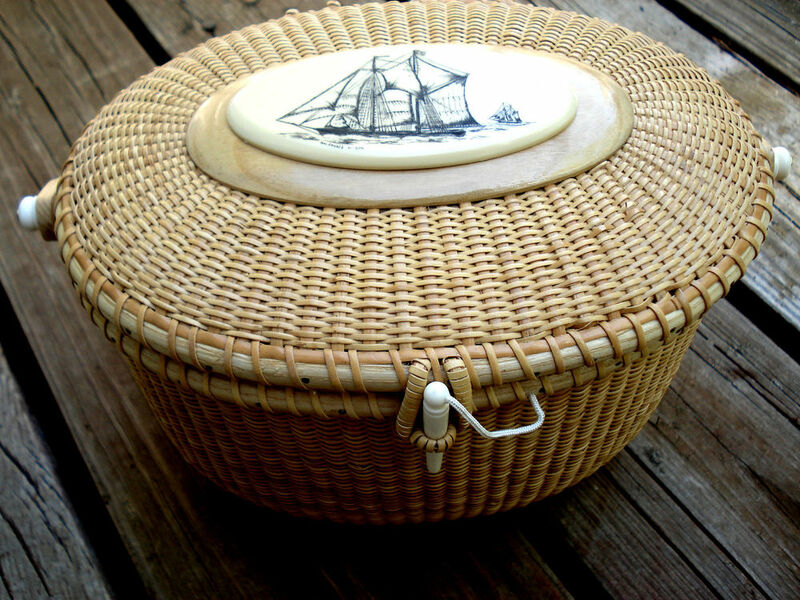 Scrimshaw became a popular decorative addition to the lighthouse baskets. 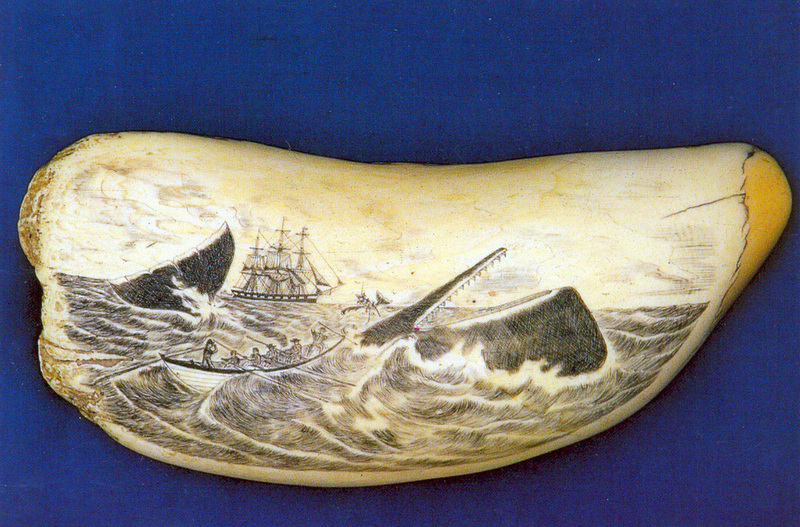 Scrimshaw is an etching carved on whale bone. 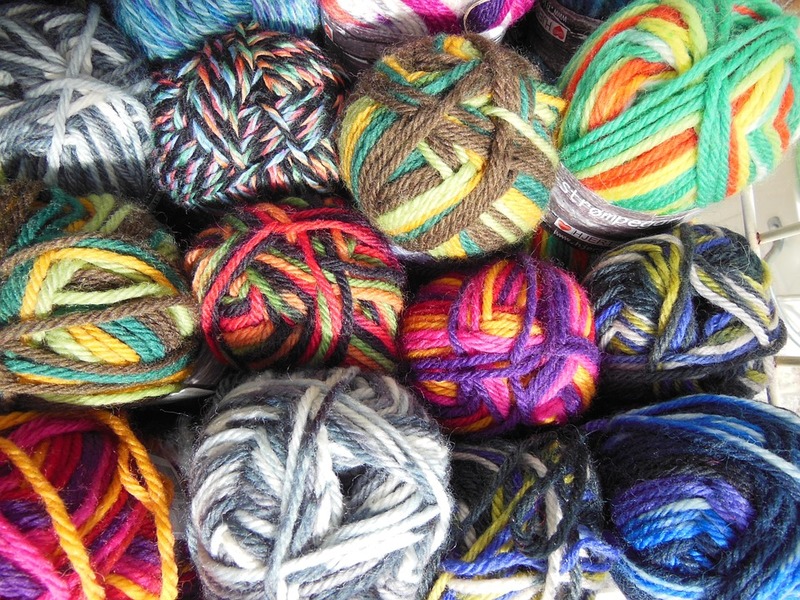 All kinds of materials can be used to make crafts. 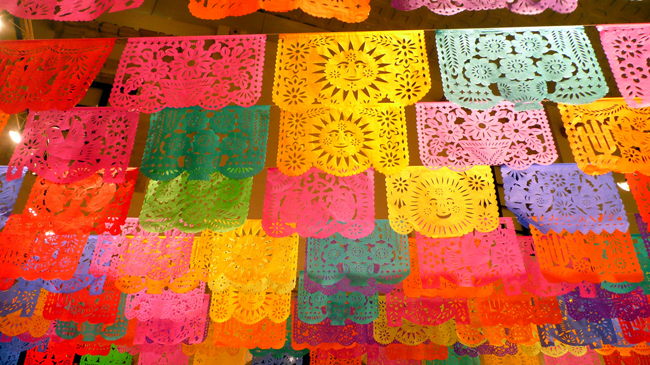 In Mexico, paper is a traditional medium for making sculptures and art. The development of paper goes back to Mexico’s ancient history. 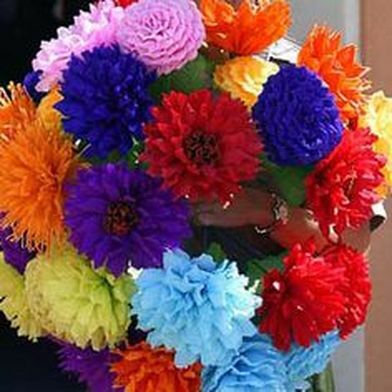 Paper flowers are a Mexican folk art. 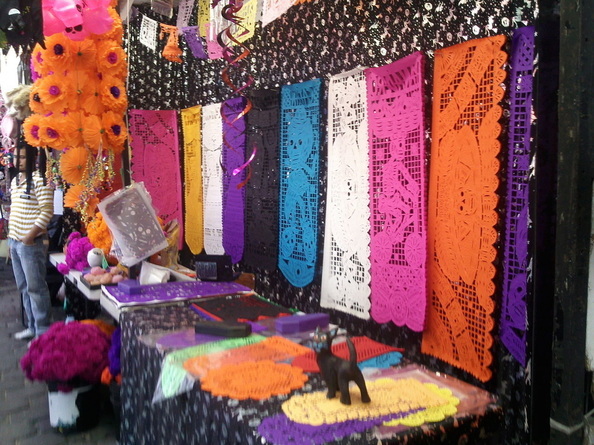 ​Another Mexican folk art using paper is papel picado. This craft is typically made by cutting designs into tissue paper. 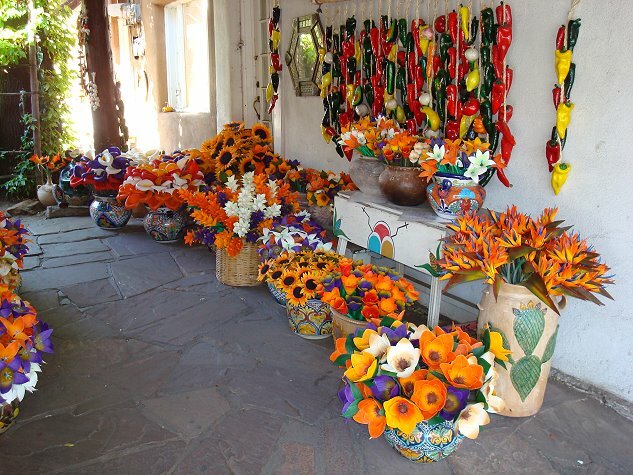 ​The art of papier-mache is called cartoneria. Papier mache is actually a French word for “chewed paper”. Papier-mache sculptures are made with paper pieces or pulp reinforced with a paste. Often a support is needed, such as from wire or even balloons. 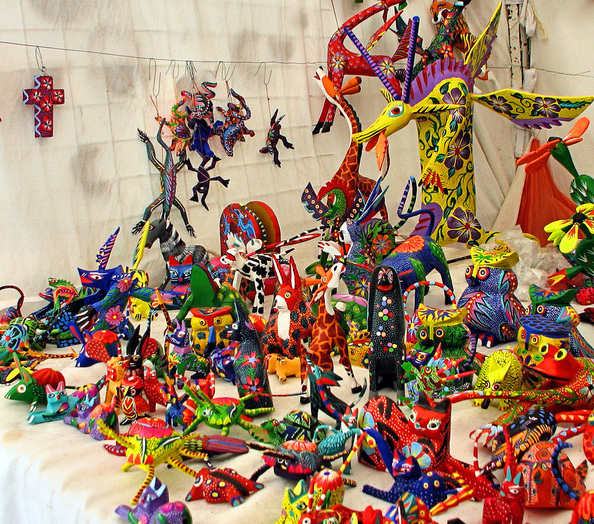 Through the years, cartoneria artworks have been created in Mexico for rituals, festivals, and decorative purposes. 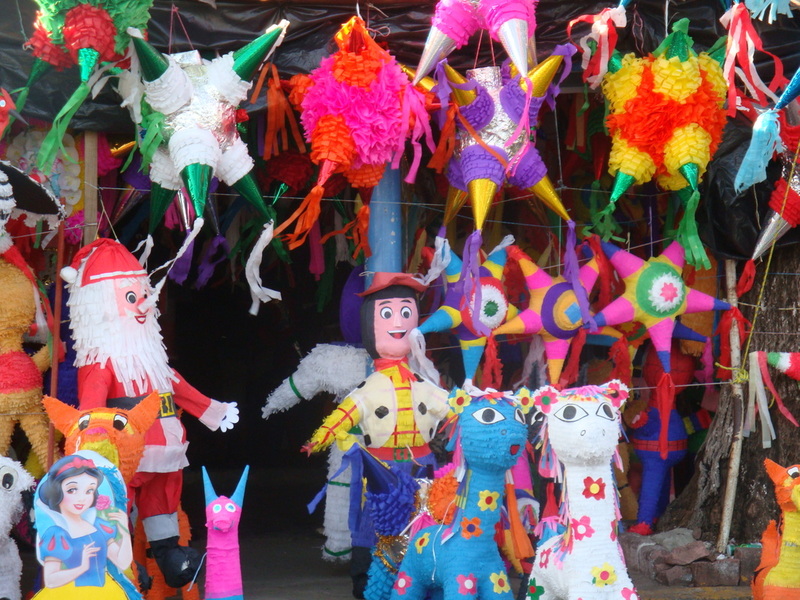 Pinatas, which are a cartoneria craft, are used at parties but are most common for the Christmas season. 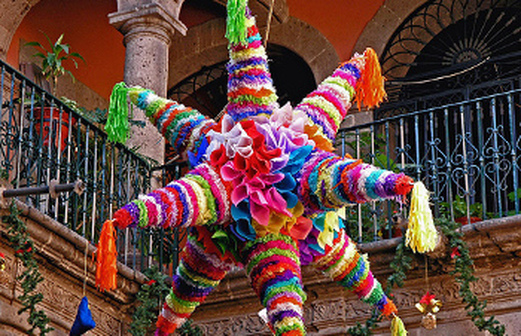 The most traditional pinata shape is a star. 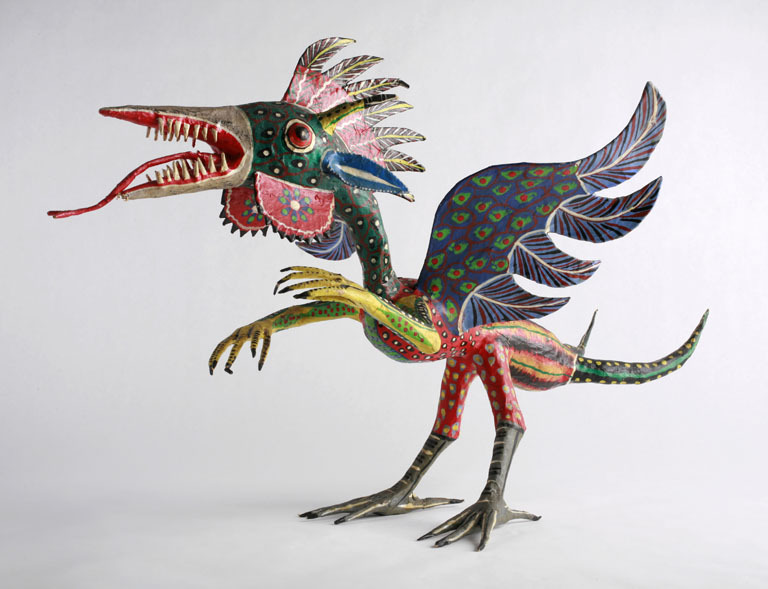 ​The best known cartonería craftsmen are the Linares family in Mexico City, known for their papier mache skeletons, skulls, and fantastical creatures called “alebrijes.” Alebrijes are brightly colored folk art sculptures of fantastical creatures. 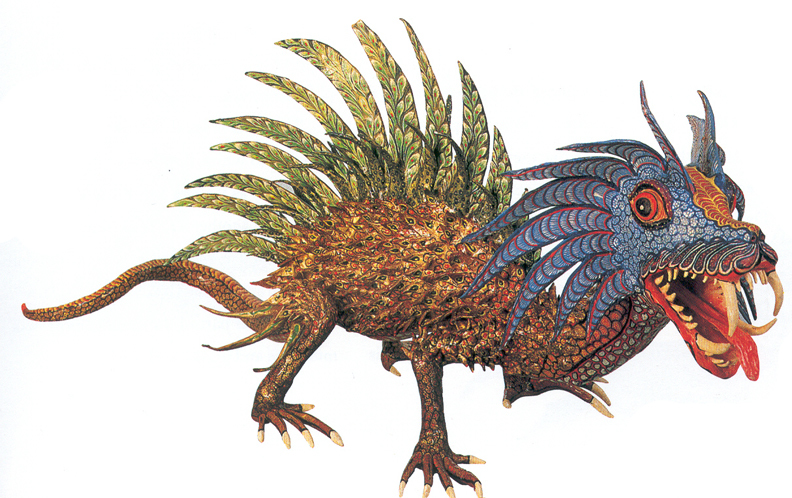 The word, alebrijes, is just a made-up word that came from a dream experienced by Pedro Linares, the original creator of the creatures. ​The work of the Linares family is sought out by museums and others in the United States and Europe. In 1990 Pedro Linares received the distinguished National Award for Science and Art from the Mexican government. 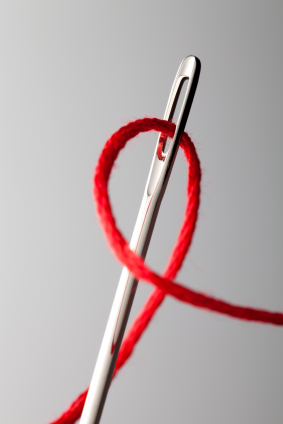 Needlework is another very old craft. 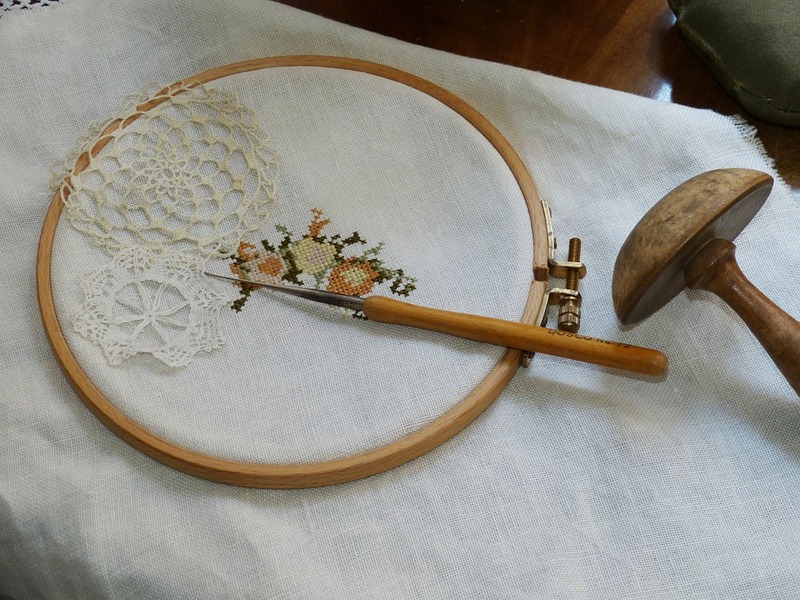 Needlework is a broad term for crafts that make use of sewing or textiles - anything that requires a needle to create. 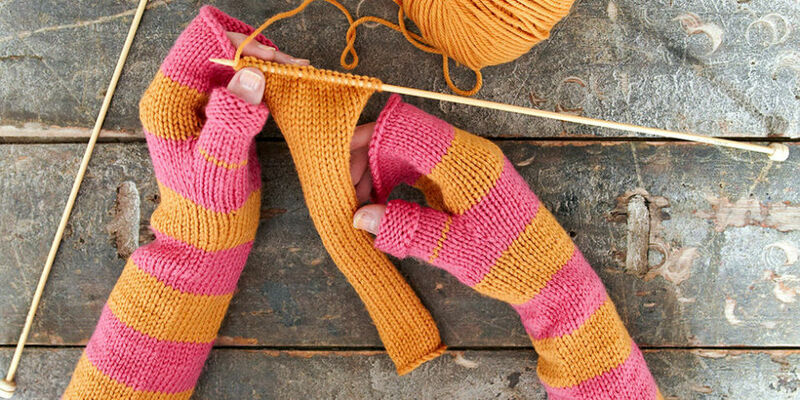 Knitting can be used to make scarves, hats, mittens, and many other items. 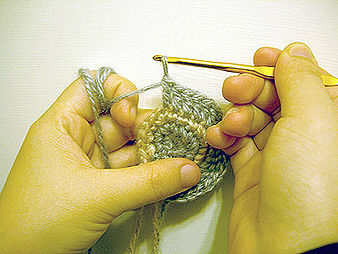 Crochet is also a technique for creating fabric by interlocking loops of yarn or thread. 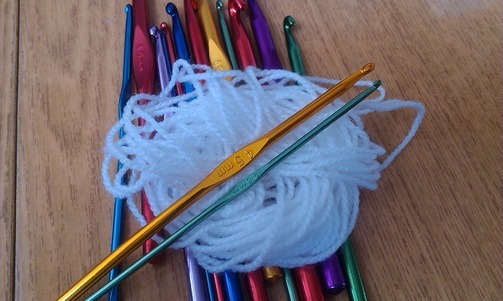 A crochet hook is used. 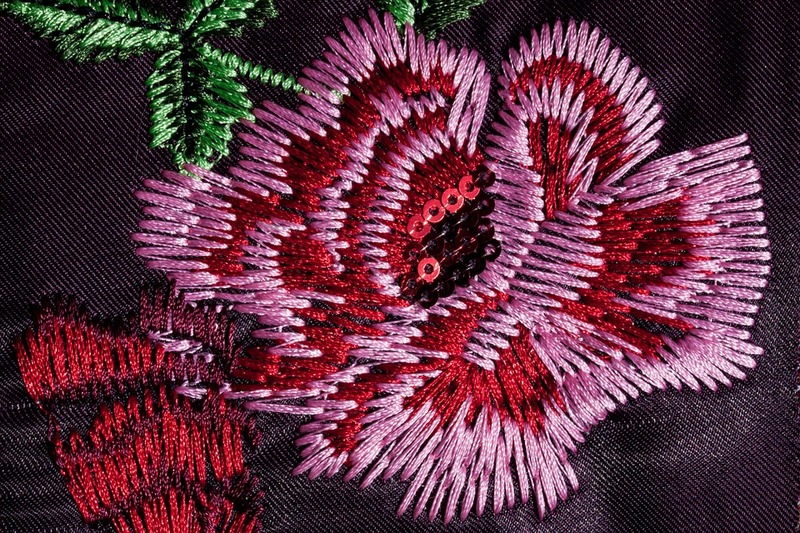 ​Embroidery is the handicraft of using a needle and thread or yarn to decorate fabric or other materials. 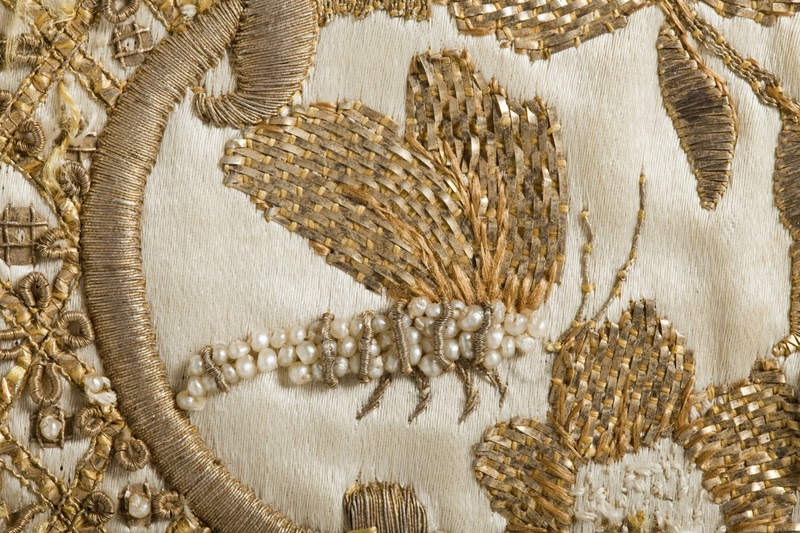 Embroidery might use pearls, beads, and sequins among other items. 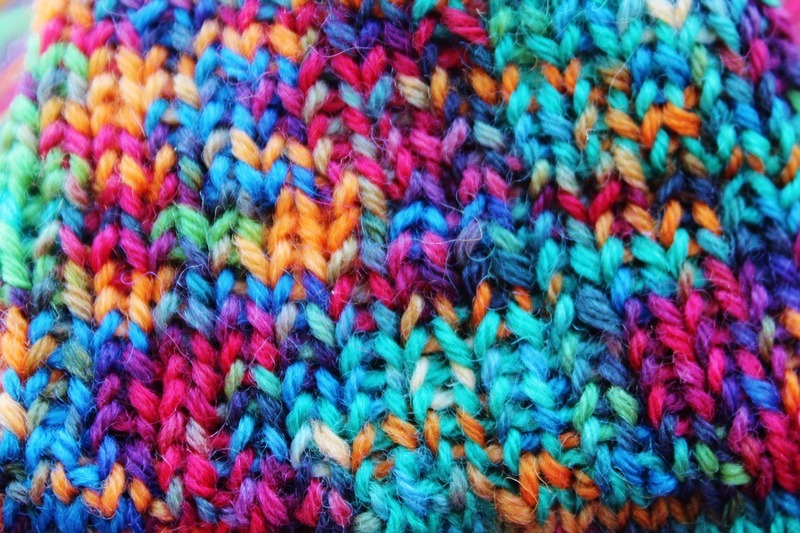 Embroidery is often used on clothing, caps, and blankets. 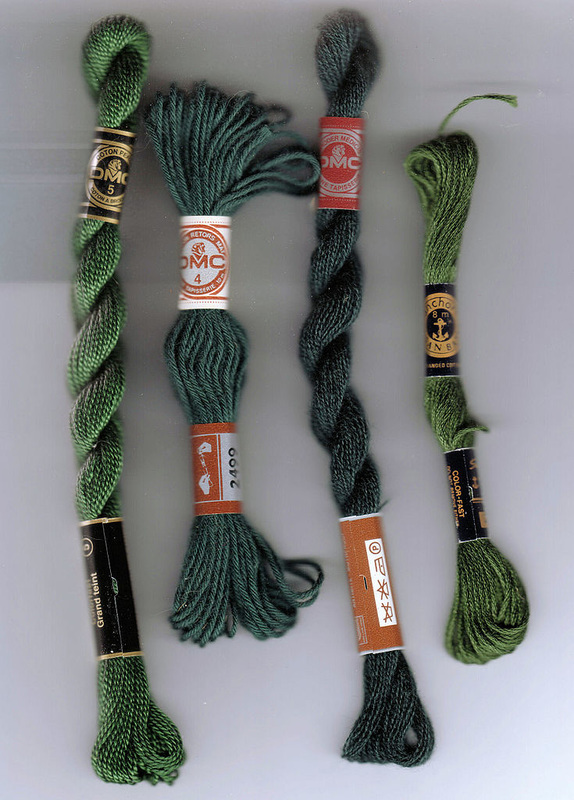 ​The craft of tapestry creates a picture or design by weaving thread into a fabric. 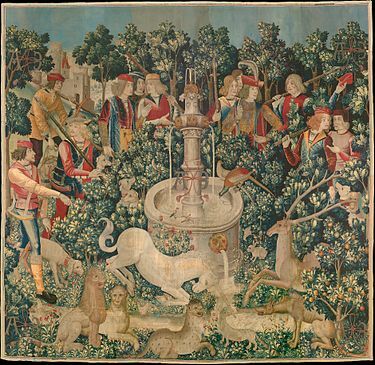 In medieval days, tapestries were hung on walls to both decorate and help keep a room warm. 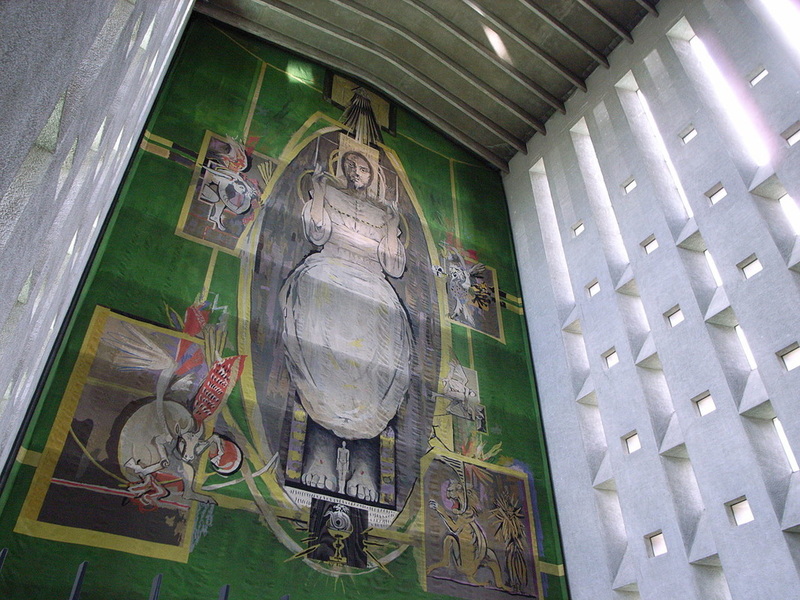 The tapestry in Coventry Cathedral was created in 1962. 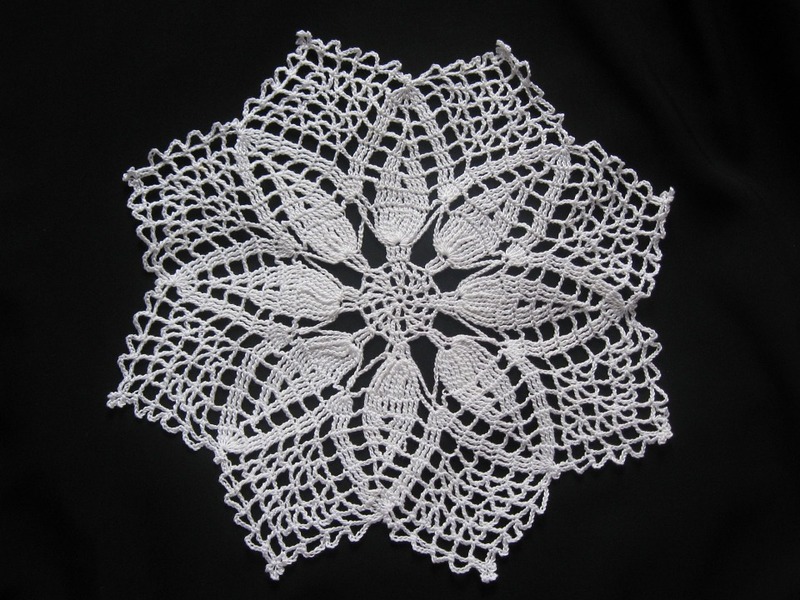 ​The craft of needle lace creates beautiful lace by using hundreds of small stitches. It’s sometimes called point lace. 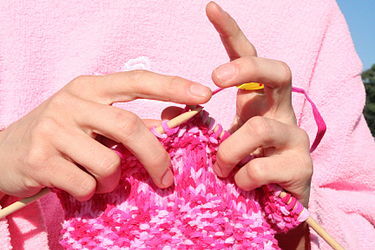 ​Quilting sews two or more layers of fabric together to make a thicker material, usually a blanket called a quilt. Most quilting combines three layers; a quilt top, batting or insulating materials, and backing cloth. 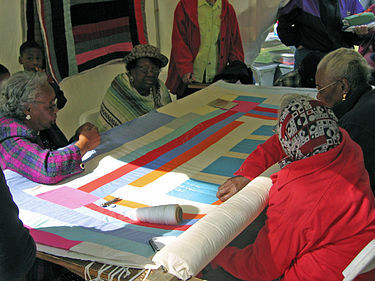 Quilting groups often work together to create a quilt and enjoy each other's company. 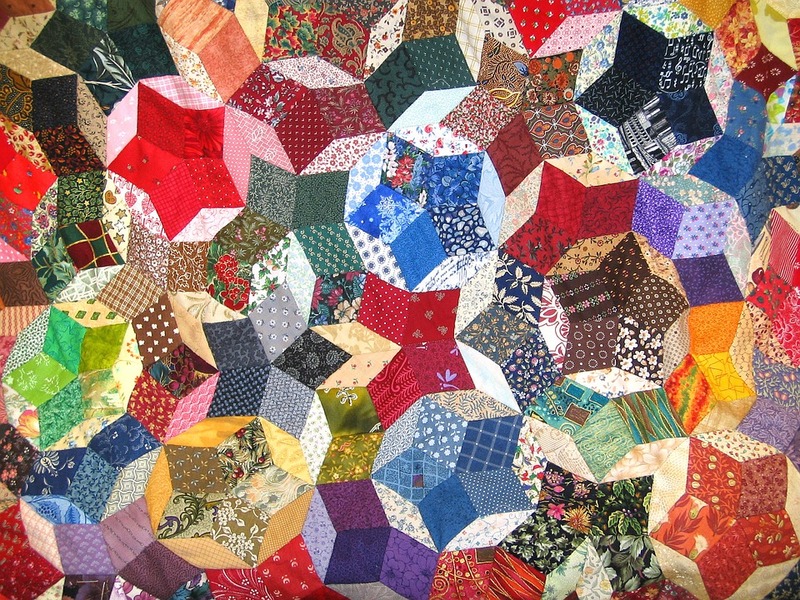 Many quilts are made with scraps of cloth. 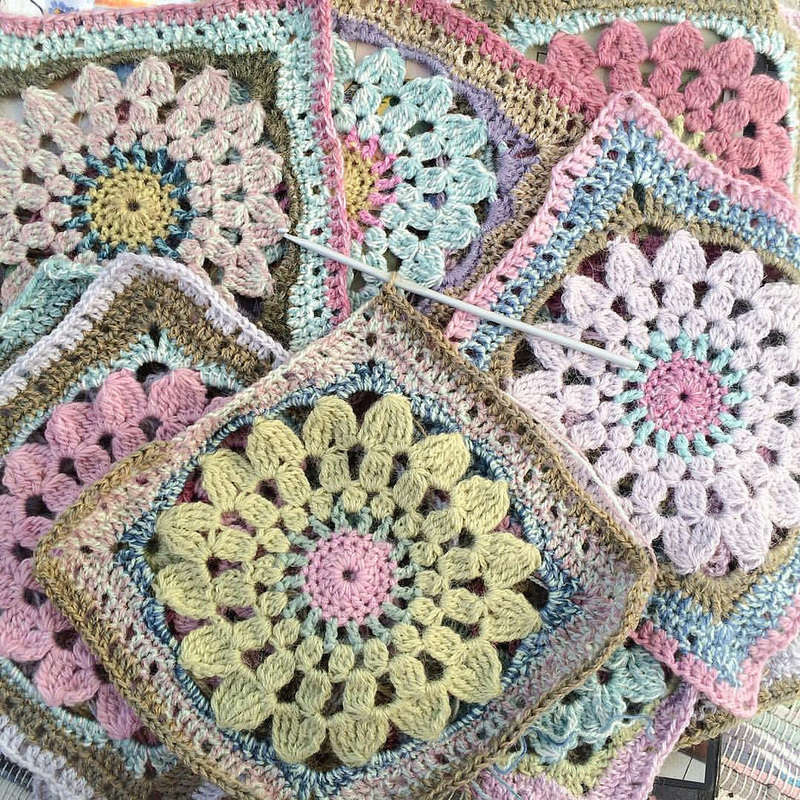 There are many different patterns for quilts. 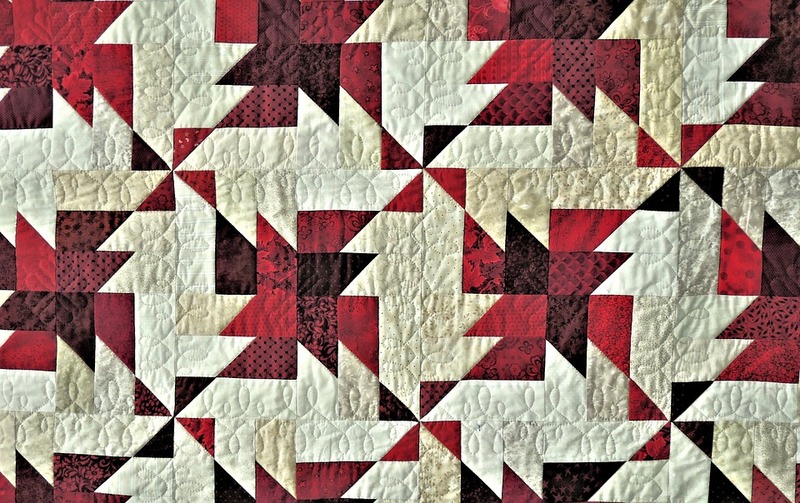 Endless varieties can be created due to fabric pieces, colors, and designs the quilter might use. 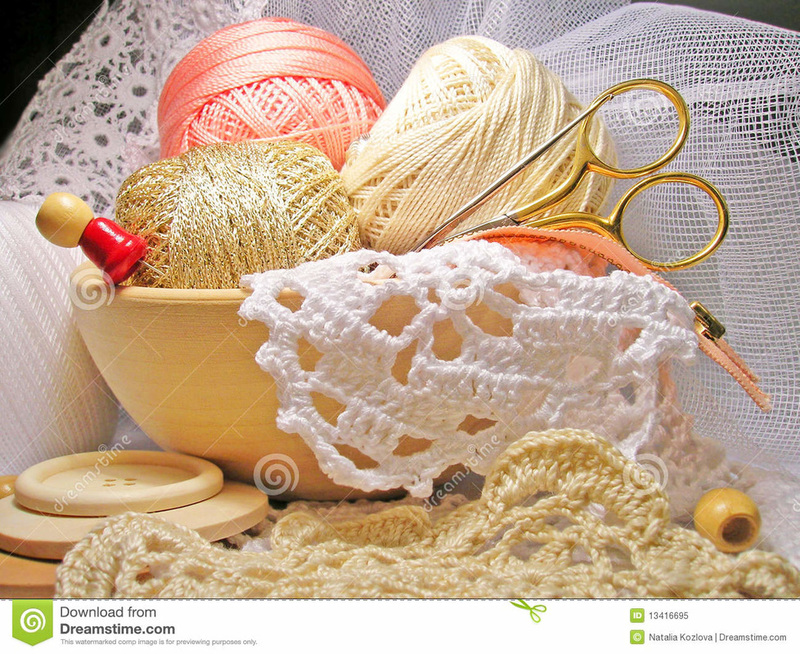 Needlework crafts are popular and useful. "Alebrije". Wikipedia. N. p., 2016. Web. 4 May 2016. "Cartonería". Wikipedia. N. p., 2016. Web. 29 Apr. 2016. "CRAFT IN AMERICA | Community: Show Me". 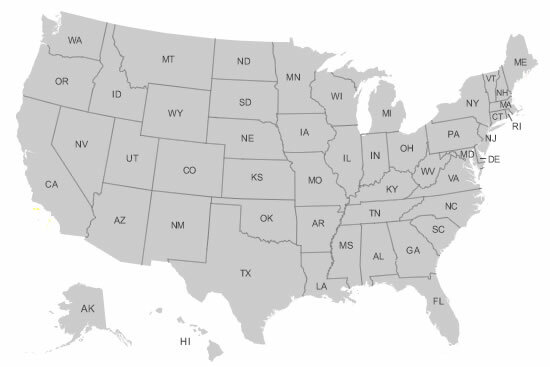 Craft in America. N. p., 2016. Web. 29 Apr. 2016. "Crafts: Definition, Types, History". Visual-arts-cork.com. N. p., 2016. Web. 29 Apr. 2016. "Craft". Wikipedia. N. p., 2016. Web. 29 Apr. 2016. "David Drake (Potter)". Wikipedia. N. p., 2016. Web. 29 Apr. 2016. "Decorative Art, Crafts: Definition, History". Visual-arts-cork.com. N. p., 2016. Web. 29 Apr. 2016. (www.dw.com), Deutsche. 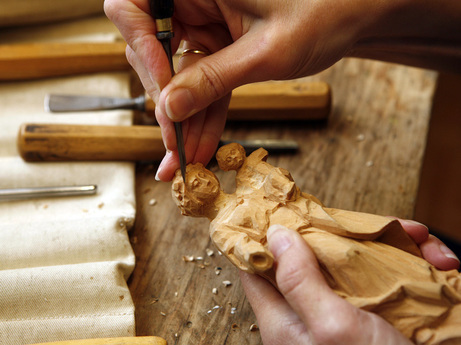 "Bavaria's Wood-Carvers Struggle To Keep Tradition Alive | Culture | DW.COM | 12.03.2010".DW.COM. N. p., 2016. Web. 29 Apr. 2016. 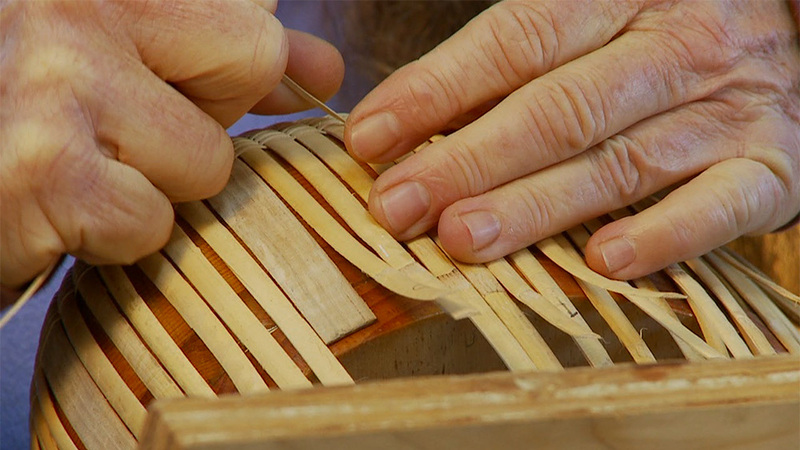 "How To Make A Nantucket Basket | The Great Wide Open". Thegreatwideopen.net. N. p., 2013. Web. 3 May 2016. "Mexican Paper Flowers". Copal, Mexican Folk Art at its best Online.. N. p., 2016. Web. 4 May 2016. 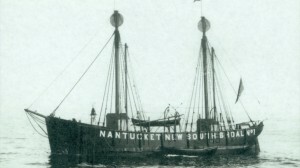 "Nantucket Lightship Basket Museum".Nantucketlightshipbasketmuseum.org. N. p., 2016. Web. 3 May 2016. "Needlework". Wikipedia. N. p., 2016. Web. 5 May 2016. 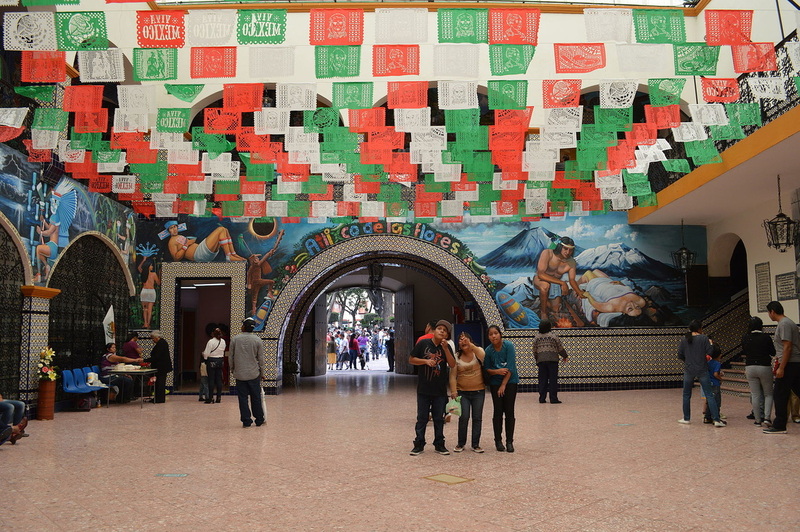 "Papel Picado". Wikipedia. N. p., 2016. Web. 4 May 2016. "Papier-Mâché". Wikipedia. N. p., 2016. Web. 4 May 2016. "Scrimshaw". Wikipedia. N. p., 2016. Web. 3 May 2016. "South Carolina’S Edgefield District: An Early International Crossroads Of Clay".American Studies Journal. N. p., 2011. Web. 2 May 2016. 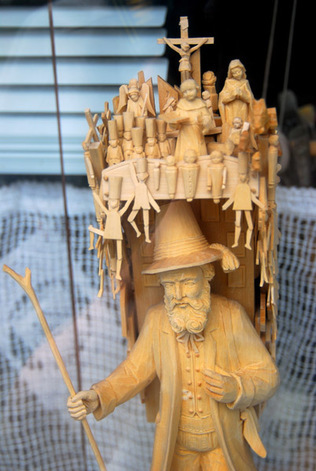 "Toni Baur In Oberammergau Woodcarvers Create Christmas Masterpieces". Zimbio. N. p., 2016. Web. 29 Apr. 2016.